Today at the Unpacked Event at the Barclays Center in New York Samsung launched alongside a new smartwatch, the Galaxy Watch and a new home speaker, the Galaxy Home, the main subject of the show, the new Galaxy Note 9. 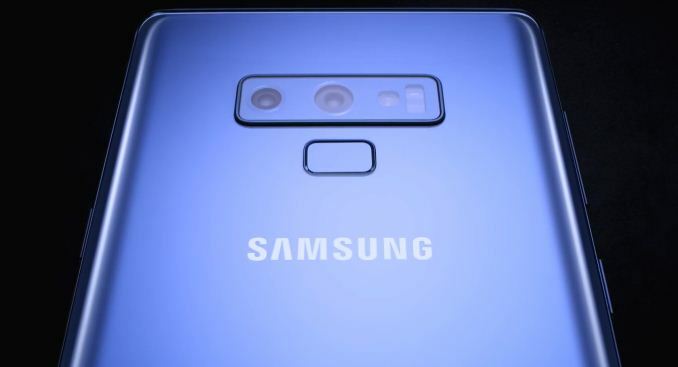 Samsung’s marketing focus for the Note 9 focused primarily on two new improved features: An increased battery capacity, and an increase in the storage capacity of the phones. In terms of SoC, the Note9 follows in the steps of the Galaxy S9 and employs the same Snapdragon 845 and Exynos 9810. We’ve extensively covered the two new chipsets in our review of the S9 earlier in the year. The Snapdragon 845 is a fantastic chipset for 2018 – while the Exynos 9810 showed some weakness in terms of performance as well as power efficiency – showcasing a particularly large gap this year. It’s been some time that Samsung actually talked about the internals of its Galaxy devices, so it was particularly surprising to hear an emphasis on the performance of the chipsets this year round. Gaming was one topic where Samsung pulled in outside help to promote the Note 9 – Tim Sweeney was on stage unveiling the early Android beta launch of Fortnite for Samsung Galaxy phones, as well an exclusive in-game skin for Note 9 users. Both the Snapdragon and Exynos S9 showcased thermal throttling in 3D games, and it seems Samsung took note of this and actually introduced a new beefier thermal dissipation solution in order to better cool the SoC and maintain higher performance. 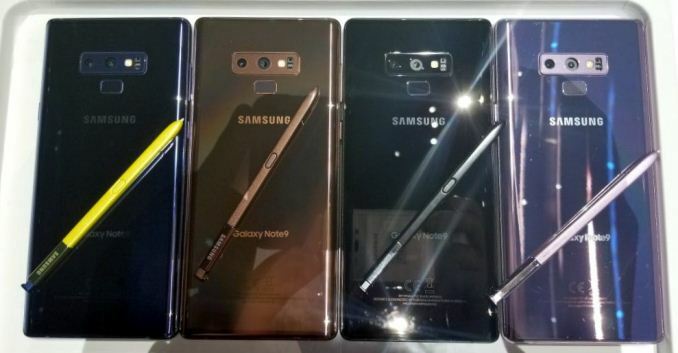 The Note 9 comes in 6 GB or 8GB RAM variants, tied together with doubled base storage capacity of 128GB and with an enormous 512GB in the higher tiered variant. In terms of display, we see the same resolution as on the Note 8 and S9 – employing a 18.5:9 2960x1440 AMOLED screen. The diagonal has increased this time around to 6.4”, and indeed this has increased the footprint of the device as the width has widened 1.6mm to 76.4mm. A notable increase in comparison to the Note 8 is the Note 9’s battery capacity. Here we see a 21% increase to reach the 4000mAh mark. While this is certainly a psychologically large number, the 14% boost versus the Galaxy S9+ is still within reasonable levels of improvements, and I think Samsung’s taking a bit of a heavy-handed marketing approach here when it comes to the battery promises – especially for the Exynos variants in EMEA and SEA markets. The camera of the Note 9 is the same as on the S9+ - this includes again the main 12MP sensor with 1.4µm pixel pitch with full dual-pixel PDAF layout, and a variable aperture of either f/1.5 or f/2.4. The telephoto lens also is the same with a 2x optical zoom capability. Both modules support OIS. The one point where the Note 9 promises to improve camera capture in is through the introduction of neural network based inferencing and scene recognition. The Note 9 is said to recognize 20 scenarios and apply a respective image processing such as colour temperature adjustments. Again, this is something we’ve seen in the past introduced by various vendors, but if one thing we’ve come to discover over the last few months is that the implementation can be a hit & miss – so Samsung will have to focus on getting this right. The fingerprint sensor sees the same design change as on the S9 and is now located centrally below the camera modules. 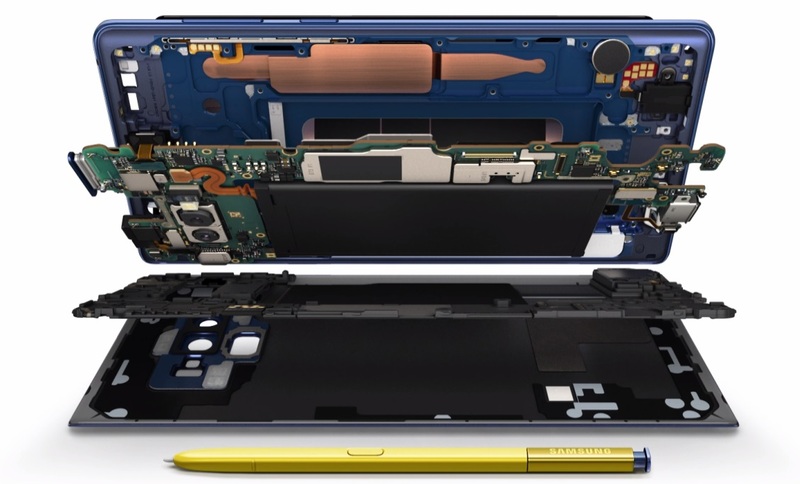 Finally the biggest feature improvement on the Note 9 is the new S-Pen: The new unit is no longer just a passive component, but now is an active remote working over Bluetooth LE and has its own little battery incorporated. The phone is said to be able to charge the S-Pen in 40 seconds for 30 minutes of usage – or when it’s actually discharged then it doesn’t limit the traditional functions which still work as passive components. In addition to the new remote functionality, the new S-Pen has a finer tip and increases the pressure sensitivity to 4096 levels. The Note 9 is now available for preorder with availability on August 24th at prices of USD $999 for the 6GB/128GB base variant and $1249 for the 8GB/512GB version.